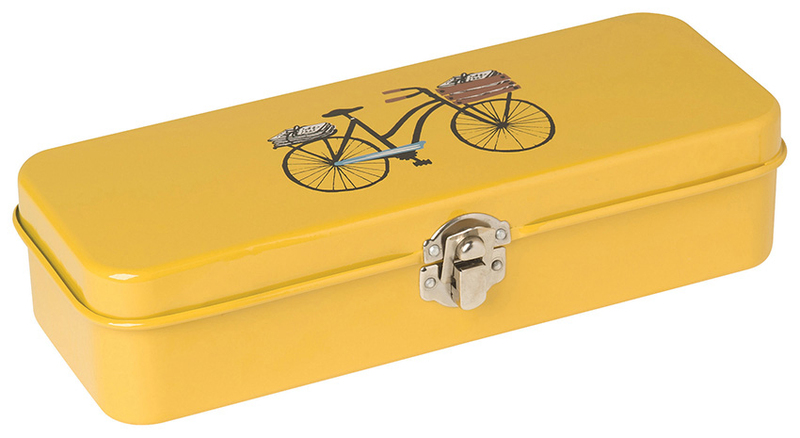 Keep your favourite pens, pencils and accessories in one trusty place. Secure the lid with the durable clasp to keep your treasures safe. A whimsical bicycle carrying the day's newspapers pedals through the city against a cheery yellow background.